A new film from Steve McQueen, the director of 12 Years A Slave, co-written by him and Gillian Flynn, author of Gone Girl in both its novel and screenplay incarnations, and with an absurdly stacked cast that includes Viola Davis, Liam Neeson, Colin Farrell, Elizabeth Debicki and Michelle Rodriguez, was always going to be hard to resist. It’s tough to imagine how a film with such a degree of talent on both sides of the camera could go wrong – and fortunately, it hasn’t. This is a proper, supremely entertaining, grown-up crime drama that delivers thrills and smarts in equal measure while never compromising on either. When four career criminals are killed in a shootout with police following a heist gone wrong, their widows are left adrift. Saddled with her late husband’s debts and plunged into a world she’s never been part of, Veronica (Davis) uses a set of plans that Harry left behind to plan a job to get herself out of the hole she’s been left in. And she’ll need the other widows’ help to pull it off. The story expands much further than that in ways that would be spoilerish to reveal, taking in the criminal and political worlds they find themselves caught in and making the tale feel grand in scope despite largely taking place in one city district. McQueen and Flynn take the specifics and make them feel universal and relatable: chances are you’ve never been over your head with gangsters and trying to steal multiple millions to save your skin, but we’ve all had moments when it feels like the whole world is against you and it’s everything you can do to keep your head above water. It’s a film with a great deal on its mind, but never in a showy way; while it may well be destined for awards, it never feels crafted with that in mind. Instead, this is an uncommonly intelligent, exceptionally well-made mainstream thriller that just makes you wonder why we don’t get more of them. The intersection between politics and organised crime, the plight of women left alone in an indifferent or outright hostile society, and the desperation people are driven to by a government that won’t help those most in need of it: all of this is here, but Widows wears it lightly, confident that we’ll pick up on it without needing to be spoon-fed. 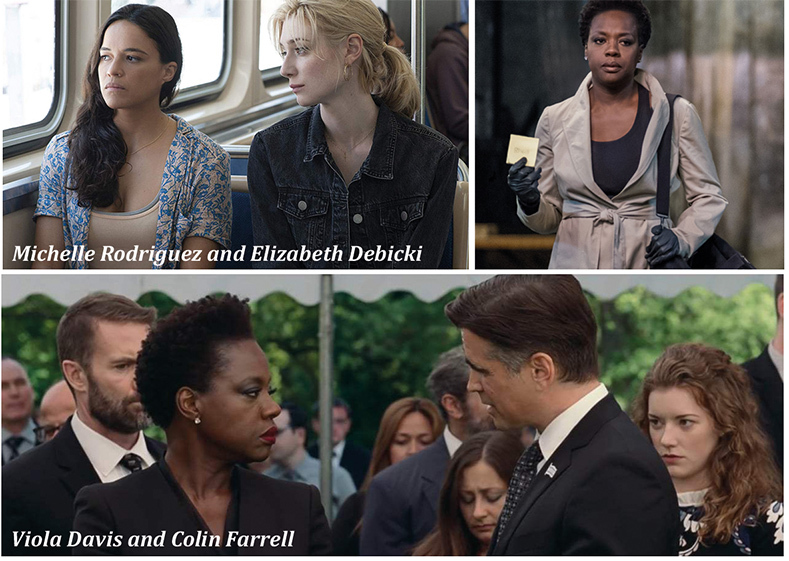 It’s complemented by richly-drawn characters and a handful of absolute barn-burner set pieces that rightly keep the focus on the impossible situation the widows have found themselves in. The opening car chase which ends in the deaths of the husbands grabs you by the throat right from the off, and the climactic heist – soundtracked by pounding percussion and the widows’ own ragged breaths – is one of the year’s most intense sequences, partly because of what’s unfolding on screen but largely because we know exactly what’s at stake if they should fail. For this to work we need to believe in the characters, and everyone here is bringing their A-game. Admittedly, Viola Davis doesn’t seem capable of doing otherwise, but she is sensational: a dormant volcano of a woman, outwardly calm and in command but ready to explode with rage and grief at any moment. Not many actors can deliver a death glare like she can, and here she has to do it while holding a tiny, adorable Westie. This should be a star-making turn for Elizabeth Debicki, whose tall, slender frame and fair com-plexion are used exceedingly well: her character is the widow of a physically abusive husband, and she’s understand-ably scared, overwhelmed and fragile-seeming. It’s a true joy, then, to watch her uncover layers of strength and resilience, truly coming into her own as part of the crew. And Daniel Kaluuya continues his meteoric rise with a genuinely frightening, unnerving performance as the ruthless enforcer on the widows’ tail. 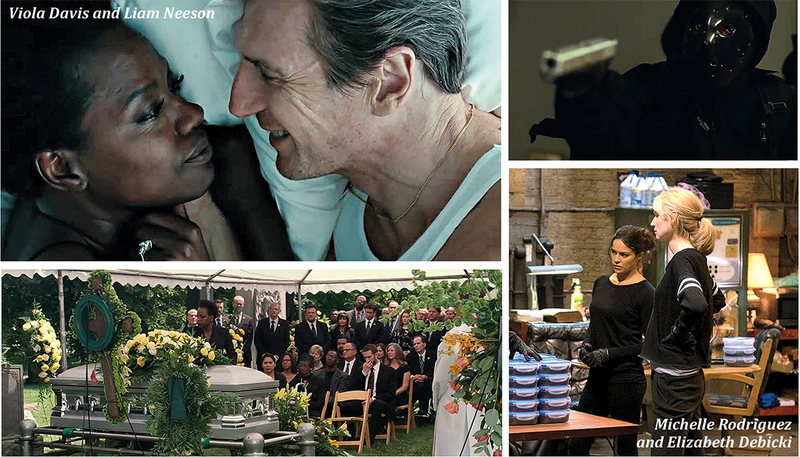 Widows is a rare sort of film, and one that should be cherished accordingly. It’s classy and smart, but thoroughly unpretentious, mainstream entertainment with more than a little pulp to it, and that never pulls its punches or shies away from the nastiness of this world. Thank goodness for that, and here’s hoping we get more like it in the near future.